betsy & tom. the day-after session. even though they say it’s “good luck” to have it rain on your wedding day, it makes it a bit tricky to get images outside. so even with the rain, i said it before, and i’ll say it again, betsy & tom honestly handled the stormy weather like champs on their wedding day. even though we were able to get some fun images outside, i think that both robbie, myself and betsy & tom knew that there was just a little something more that we had in us to create something special. so when the sun came out a few days later, they got dressed back up in their fancy clothes and it was “game time”. the images below are the result of our day with them. these images make us happy and giddy. having a “day-after” session is really such a fun way to showcase YOU GUYS (our amazing couples) without the craziness of the actual wedding day, the bridal party hanging around and just the general, albeit even small amount, of stress that the day can bring. plus, it’s a fun excuse to get back into your dress and get some happy images taken. b. & t. lots of love and happy smiles…and you guys are cute. **OH…we have some GREAT NEWS to share with you guys too!! 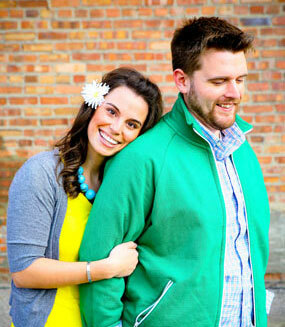 the super stylish, all things bridal, fun, quirky & MIDWEST (represent!) WEDDING BLOG a northwoods wedding featured this session…our first feature YAY! so go check it out and leave some love. Amos Haffner - Wallis?! How random I just found this post. I’m so emailing you right now. It’s been years. Glad you see you married up too! Nice photos as always Open Field! Incredible wedding style too! Jen Barnette - Love! Those boat shots are especially stellar!! betsy & tom. the wedding. betsy & tom. and their wedding that was in the woods. i’ll be honest, i’m a little lost for words with this post. everything about this whole day was amazing (except for the rain, but they handled that like CHAMPS.) it felt like we had walked onto a movie set. FOR REAL. the amount of style and detail that was put into everything was simply something we’d never seen before. the dress, the shoes, the flowers, the initals carved into an old oak tree, the location, the streamers of fabric, the burlap, the vintage EVERYTHING, the grey suits. it was all delicious eye candy. we also can’t say enough wonderful things about betsy, tom, both of their families and friends. it was just like being with old friends we’ve known forever. betsy & tom…we thank you from the very bottom of hearts. we’ve loved getting to know you guys and laugh with you both. the sky is the limit for how much you love each other, and we’re just happy to bring our cameras along to capture the important parts. Gail - BEAUTIFUL wedding. 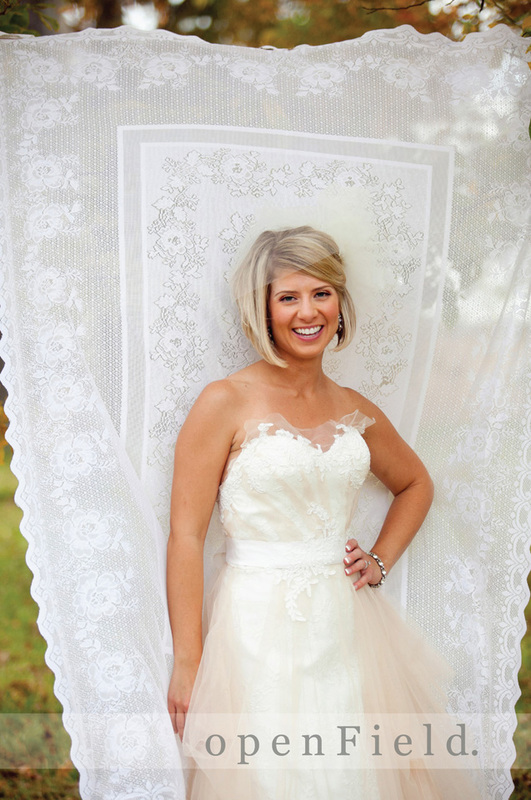 Love all the details but especially loving her dress (that crinoline-lace combo at the bodice, OH MY! ), the cake, the bridesmaids’ dresses and those GORGEOUS florals! bobbi - hands down, favorite oFp. wedding to date. fantastic images! his parents are pretty smitten with him. Gail - OK, I don’t know where they got that little bear cozy hat and bottoms but that is ADORABLE! Amanda - Love, love, love these! You guys really captured our little guy perfectly. Absolutely precious! betsy & tom. (the wedding) preview. we’re so excited to share this incredible wedding with you…but for now, just one. kirstin & danielle & tim. we met up with dani & tim (who you may remember from their amazing winery wedding) and their BEAUTIFUL daughter for their first family session. we love this family with all of our hearts and kind of can’t wait to see her grow up. kirstin already has tons of personality, a perfect smile and totally has her parents wrapped around her cute chubby little fingers. watch out world.